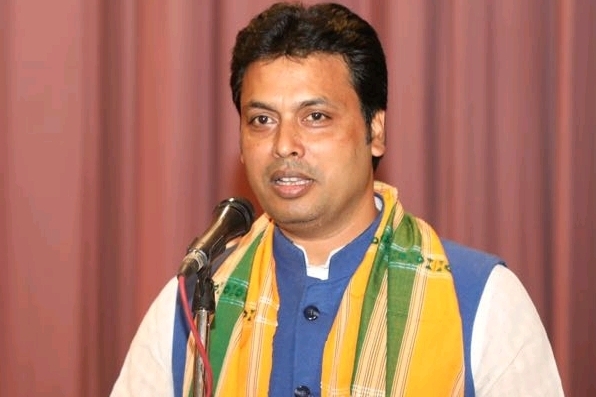 Tripura Chief Minister Biplab Kumar Deb on Friday laid down a slew of wishes before the Principal Secretary of Prime Minister’s Office (PMO) Nripendra Mishra in the national capital, disclosed official sources. The wish list include a special financial assistance of Rs 500 crore under SPA, fund for implementation of seventh Pay Commission and one time relaxation for recruitment of teachers till 2020 since over 12,000 posts still remain vacant. In regard to special financial assistance under SPA, it is learnt that the Principal Secretary assured Deb that an amount of Rs 500 crore would be provided to Tripura to tide over the financial crunch. A lump sum amount for implementation of Seventh Central Pay Commission recommendations has been placed before the Principal Secretary since the three-member panel is yet to ascertain the fund to be required for the purpose. An official press release from the Chief Minister’s office stated that the Principal Secretary of the PMO has assured Deb ‘of doing the needful’. On the one-time relaxation in the process of teachers’ recruitment, the release stated that the Ministry of Human Resource Development (MHRD) will be requested to consider the proposal as there is shortage of eligible candidate for filling up over 12,000 posts. ‘If relaxation is not given, then filling up of huge posts will be difficult for the State Government, the statement added. It is also learnt that the Central Bureau of Investigation (CBI) will take up the investigation into the killings of two journalists – Sudip Dutta Bhowmik and Sujit Bhowmik during the erstwhile Left Front rule in the State.